The Everyone’s Drumming Djun Djun or Dunun is a cylindrical drum with skins on either end, tunable drum in choice of traditional mali weave or the cinch tuning. 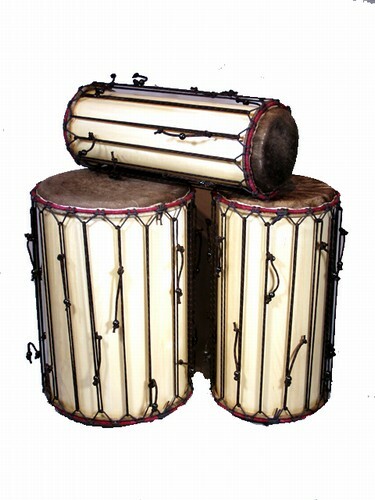 The djun is available in three in sizes known commonly as Dundunba (large), Sangban (medium), and Kenkeni (small). Djun Djuns can be played with a stick or with hands. Played by being carried with a shoulder strap or on a stand using the Everyone’s Drumming mounting system. Great drum for drum circles!